A 2% pay rise. Sounds good to me. This is a pay cut for the ninth year running. Whichever inflation measure you use (CPIH is 2.3%; RPI is 3.2%) we’re facing falling wages when the sector as a whole has made a massive surplus in recent years thanks to £9k tuition fees. OK but I still think there are more important issues like the gender pay gap, increased workloads and casualisation. Which is why the pay claim also addresses precisely these issues demanding nationally agreed frameworks for action to challenge precarious contracts, to close the gender pay gap by 2020, to mitigate excessive workloads and to establish a viable minimum wage for all institutions. Can Goldsmiths afford to pay? We’re by no means the wealthiest institution in the sector but we’ve had six successive years of surplus (and growth) and have some £29m of cash in the bank. How will this connect to pensions dispute? In one very concrete way: we’re about to be hit by an increase to our pensions contributions. On 1 April 2019, our contributions will go up from 8% to 8.8% of salary with further (and bigger) increases in 2020. How are we going to cope with a pay cut and a contributions increase? Why should I strike if the union leadership is going to sell us out? If we followed this logic we’d never take any action! The pensions dispute showed us that rank and file action can push the leadership onto the defensive and brought us to the verge of a significant victory. Of course there are no guarantees of success but what alternatives do we have apart from caving in? Will I be taking action alone? No! 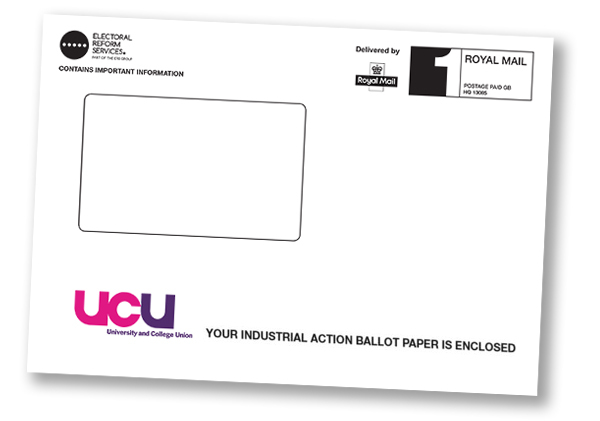 Unlike the pensions dispute, this is a truly national dispute with both pre- and post-1992 universities taking part in the ballot along with dozens of Further Education colleges. And Unison, who represent professional and support staff, are also balloting over the same offer so it could be a sector-wide struggle. Will the branch help support me? We realise that members lost significant amounts of money in the pensions strikes (though think of how much more you would have lost had the initial proposals been accepted). So we will once again be offering local hardship funds to complement any funds that may be offered at a national level. Do you have other questions about the ballot? Email them in to gucu-admin@gold.ac.uk and we will endeavour to answer them!